One of the unique advantages of choosing Providenciales for your vacation is that the island is a perfect fit for any and all kinds of travelers. Whether you’re a couple on a romantic escape, a family on vacation, or a group on a girls’ getaway, Providenciales offers something for everyone. If you’re looking for ideas on how to make the best of your trip, you’ve come to the right spot. Allow us to suggest a few of our favorite things to do. Congratulations! You have chosen the ideal location for your romantic escape. Coral Gardens’ boutique size means that you can be on Grace Bay Beach in mere minutes. As cliché as this may sound, a favorite activity for vacationing couples is taking long walks along the beach at sunrise and/or sunset. With 12 miles of powdery white sand beach, there’s a lot to explore. Coral Gardens also makes for the perfect location to watch the sunset from your balcony or patio, while enjoying a glass of wine. Turks and Caicos comprises 40 islands and cays, so why not do some island-hopping? You can escape to your very own deserted island for a picnic lunch complete with wine. Or perhaps you’d prefer a full day of crewed-yachting? No one can resist the dreamy turquoise tones of the waters around Providenciales, but if you’re ready to go a bit further afield, you can dive the barrier reef and you’ll likely see large rays, sharks, and whales (depending on the season). Another fun and popular activity is a sunset horseback ride along Long Bay Beach and in the ocean. Providenciales boasts some of the best restaurants in the Caribbean, many with stunning views. We’ve recommended a few of our favorites here and we’d also be happy to help with reservations and any special requests. Snorkeling is a fun and easy family activity and The Bight Reef, one of the best snorkeling sites on the island, is right off our beach at Coral Gardens. If you’re looking to explore more of Providenciales, we’d recommend doing a kayaking excursion to see other marine life, as well as herons, egrets and other birds. Some excursions also offer combo land-and-sea options, where you can kayak around the wetlands, have picnic lunch on the beach, and then snorkel around the coral reefs. Looking for something closer to home? Coral Gardens offers two conveniently located swimming pools, perfect for some low-key relaxation or playtime with the kids. Wish you could have brought the family dog on vacation? 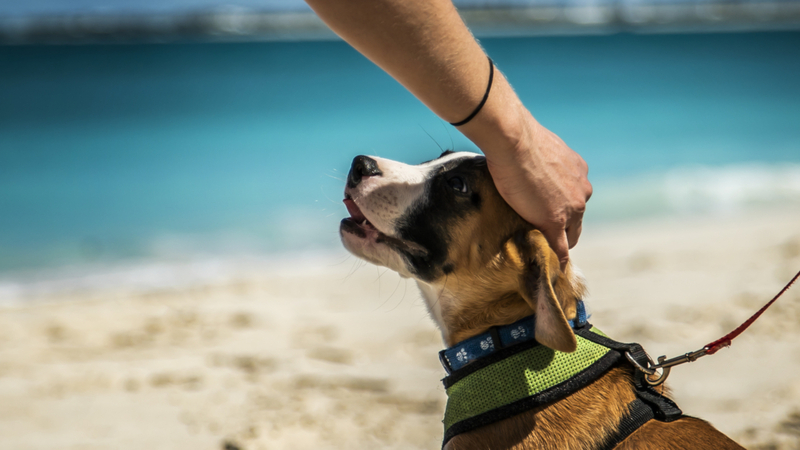 Take a local Potcake from Potcake Place K-9 rescue for a walk on the beach. The kids will love it! Bight Park, located just a few minutes from Coral Gardens, hosts a weekly fish fry on Thursday nights. This is an enjoyable outing for the family with delicious local food and local music. 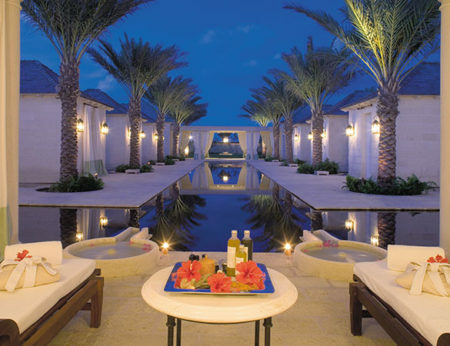 In addition to the activities we mentioned for couples and families, for girls’ getaways we’d also recommend enjoying a day (or at least a few hours) at one of Providenciales’s many amazing hotel spas. Whether it’s a Mother of Pearl Scrub at The Palms or Providenciales Deep Flow Massage at The Gansevoort, you won’t be disappointed. If you’re looking to get out on the open water, various companies offer exhilarating catamaran cruises complete with a live DJ and opportunities for sunning, snorkeling and swimming. Looking for some downtime and shopping? The Saltmills Plaza is just a 7-minute drive from Coral Gardens and features various clothing and jewelry stores, gift shops, restaurants, and art galleries. With so many amazing options, your head is likely spinning. Don’t worry, we can help. Our team on property would be happy to answer any questions. Let us know what piques your interest and we can help you to decide and book!